What do you want from a CRM? We built Flowlens to make it SIMPLE and QUICK to capture and progress sales opportunities. 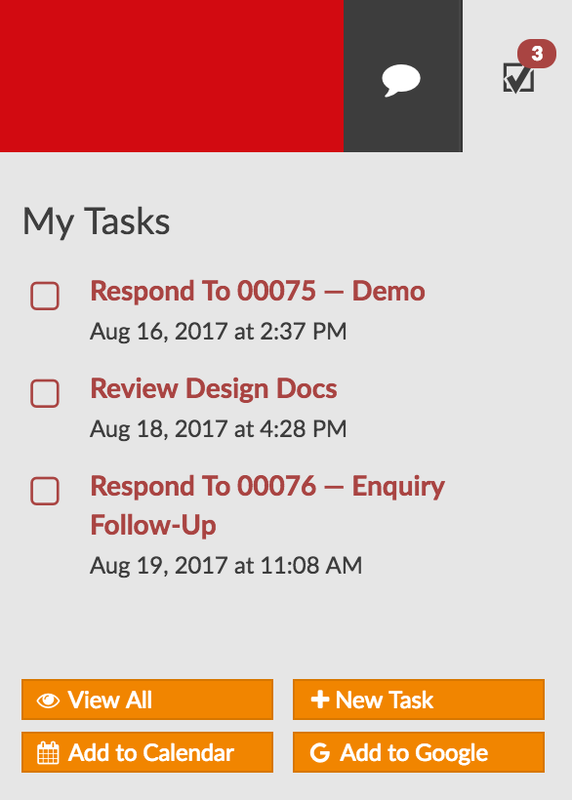 Never miss a follow-up with Flowlens Tasks. Move Sales along the pipeline and issue Quotes within the system. Access on the move on your Tablet or Smartphone. Flowlens lets you capture sales activity through the simple Interactions features. This lets you record a full history of your calls, emails, meetings etc with the customer. Use this information to prepare for the next call, or decide when enough is enough! There’s nothing worse than not knowing what is round the corner. Flowlens helps you improve your sales qualification process but encouraging more accurate forecasting. See the pipeline at glance, across stages, and expected close dates. Challenge your sales team to make better forecasts of value and close. Many businesses issues quotes verbally, by email, or via time-consuming template documents. As well as the time wastage, its hard to find quotes needing follow-up. Flowlens lets you build and send quotations in minutes. Choose from products and options and issue a branded PDF quote by email. Everything is logged for future reference and easy follow-up. Improve retention, react quicker and get real-time reports.